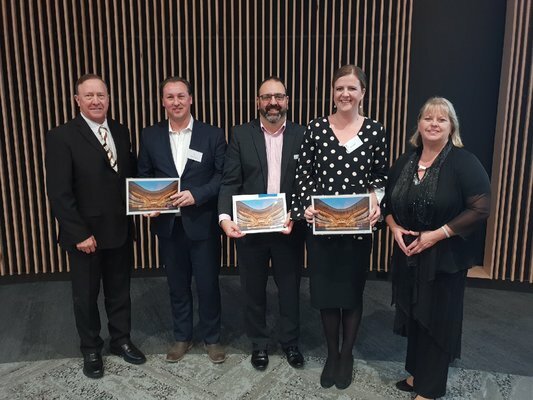 From left, Casey mayor Geoff Ablett, managing director of Minnovation Simon Maselli, FedUni campus director Greg Jakob, Zeemo creative director Anne Mehla and councillor Amanda Stapledon. Thousands of pieces of data are being collected at Bunjil Place each day as visitor movements are recorded via mobile phones and fed back to the city’s Data and Digital Department. It is just one way the City of Casey is using big and small data to plan services, schedule maintenance and manage population growth according to the city’s manager of Digital and Data Chris O’Connor. Mr O’Connor addressed the third annual Mayor’s Business Leaders Dinner on Thursday 24 May at Bunjil Place. The event was hosted by mayor Geoff Ablett. Mr O’Connor said his job was to “use digital technologies, innovation and data to make Casey a more successful city“. He explained that each mobile phone that enters Bunjil Place is a source of information or big data for the city. “Walking through this building we have little data collection points that ping your phone and find out which areas you are coming too, where you are dwelling and whether people are moving from the cafe to the library to the theatre, or from the theatre to the cafe to the library. He said big data was a “growing space for us“ and was characterised by volume, variety and velocity. To illustrate his point Mr O’Connor gave the example of a set of numbers which when broken down and subject to trend analysis showed, for example, that a higher than average number of people were at Casey Fields at 11am on a Thursday morning. He said the wisdom extracted from what was originally just a set a numbers told cleaning staff to send someone to Casey Fields to empty the bins. Another example of the way the city collects big data is its landfill monitoring technology. Mr O’Connor said a gadget the size of an iPhone monitors air quality at the city’s landfill sites. It relays small packets of data at regular intervals reliving the need for human monitoring. “Equally important to us is small data, the data that humans can interpret. Big data needs computers to understand it. Small data is obtained by talking to people, surveys and customer feedback. “We are working a lot in small data through our digital services. Looking to understand what our customers’ needs are in the discovery phase and then looking to define what solutions we can give to help them out. To make sense of that constant flow of data the city has hired its first full-time data analyst, Warren Dean. Mr Dean also addressed the dinner illustrating how his work can tell stories about what is happening in the City of Casey. He showed heat map used to plan kindergartens. Current kindergartens were mapped and overlayed with Maternal and Child Health data which showed a concentration of under four year olds in the Botanic Ridge area but no kindergartens. Mr Dean said historical data was also useful in predicting the future of services like hard waste collection. Data can also be used to save money. Analysis of the city’s asset data was crunched by consulting firm Minnovation to find value. The outcome was an estimated five million saving based on five recommendations. The data analysis found that by reducing reactive maintenance by 5 per cent the city could save a million dollars a year. “ That’s all from data we’ve had sitting there,“ Mr Dean explained. Data can also tell much smaller stories like where the library corporation should concentrate its Mandarin books. Census data showed Endeavour Hills had the largest Mandarin speaking population in the city, information useful to librarians. Mr O’Connor encouraged those business leaders at the dinner to engage with data in their own day to day operations. 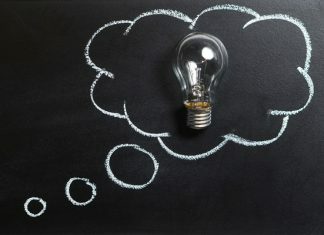 “There are options out there to start getting your head around data – talk to experts, do an online course, talk to us or anyone in the City’s economy team but get in and have a crack,“ he said. The evening also included a panel discussion featuring Minnovation managing director Simon Maselli, FedUni campus director Greg Jakob and Zeemo creative director Anne Mehla.